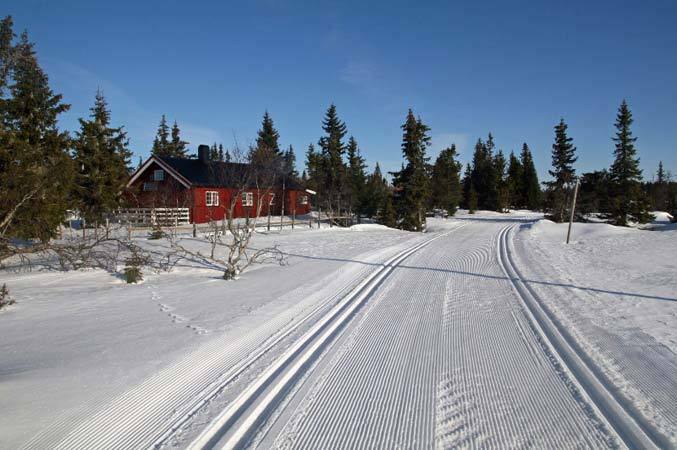 There are more than 350 km of prepared tracks in the Sjusjøen area, of which about 100 km are prepared for ski skating. The snow conditions are always stable from November and through to the end of April. The ski tracks are marked in the rerrain with stakes. The region offers varied ski possibilities and direct tracks to Lillehammer, Øyer and the Olympic ski tracks. The tracks run in the mountains and through forests. With Sjusjøen Skisenter we can offer a complete package for the whole family The Alpine centre has 3 ski lifts and 7 descents. At its best, with spectacular sunshine, Sjusjøen can offer an almost unlimited number of alternatives.